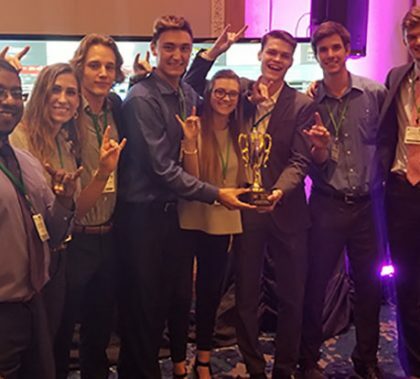 This is getting to be a habit: For the third straight year, a Grand Canyon team won the University division of the Stock Market Challenge, an annual fundraiser in which teams build a fictitious portfolio by reacting to market news and fluctuations. But this time the GCU teams finished 1-2 in the event. It wasn’t just another Serve the City on Saturday — it was a big one. 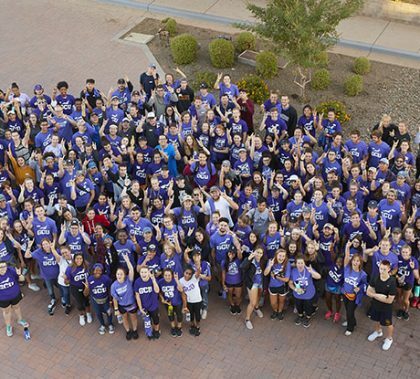 GCU’s partnership with Habitat for Humanity passed the 200 mark in families served and also reached milestones for repairs and volunteers. Making it even more special was the fact that one of the homes being worked on belongs to the first homeowner to sign up nearly four years ago. 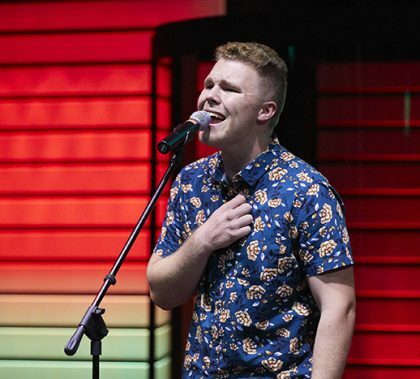 Photos by David Kadlubowski GCU News Bureau Student artists from the Canyon Worship 2018 album performed their songs Tuesday night at Harvest Bible Chapel West Valley. 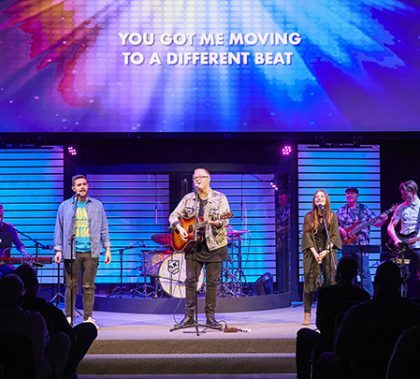 Canyon Worship West, the first concert by students whose work appeared on the Canyon Worship 2018 album, drew an appreciative crowd Tuesday at Harvest Bible Chapel West Valley. “These guys came into this church, set up three hours before, and walked in like they’d been playing here for 10 years,” said Genaro “Gin” Giurgiu, the church’s Director of Worship. Photos by Gillian Rea GCU News Bureau The Thunder Bolt shopping spree winner, Dave Argo, and his startled wife, Susan, were among the happiest members of the extended Lopes clan on Family Weekend. 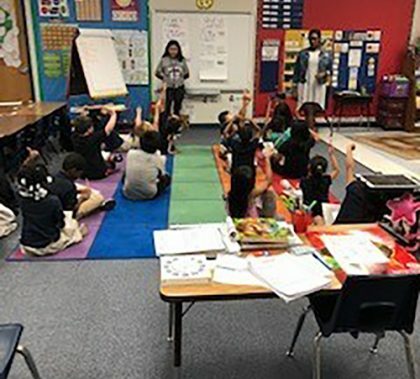 The campus was transformed Saturday into a dynamic display of family love, including a chance for homesick Lopes students to reconnect with their parents and siblings. 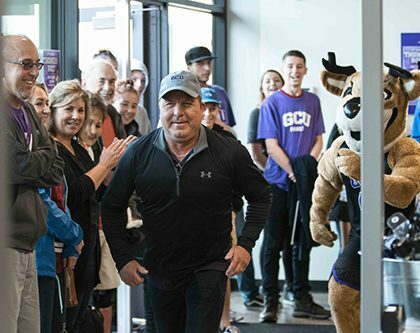 Laughter, hugs, leisurely lunches and Lopes spirit ruled Family Weekend, and no amount of rain could douse the feeling. Families connected on the bowling alleys and billiards tables in Thunderground, among other events. Let’s put this myth to bed: Donate to Elevate in no way is a cost to employees. It’s a way to take control — to allocate — how your tax dollars are being spent. 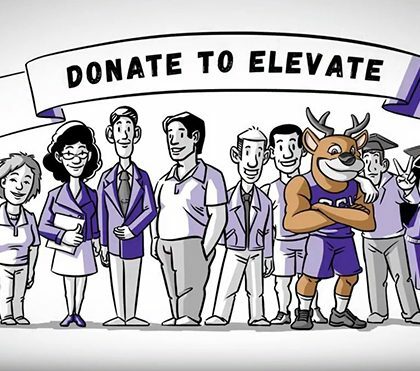 All of us have to pay taxes, but Donate to Elevate gives GCU and GCE employees the power to tell the state government how their tax dollars should be used — for Habitat for Humanity, private Christian schools, public Arizona schools or all three. Employees allocated $2.7 million last year, and the goal for the 2019 campaign is $2.8 million. The process of enrolling is a no-brainer. It literally takes a couple of mouse clicks to compete. And if 90 percent of the employees in a department enroll, they’ll be rewarded with a half-day off work. Time stood still Friday night at GCU Stadium for a group of families battling cancer. For those few hours, it was OK to take a break from the fight. 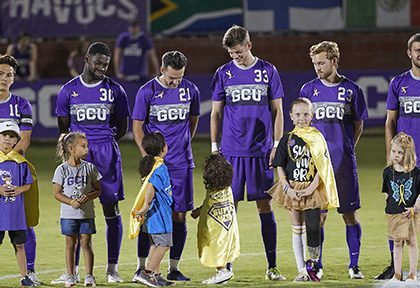 The ninth annual Run to Fight Children’s Cancer event kicked off it’s season at the men’s soccer game, with children donning gold superhero capes getting the chance to walk out and be introduced with the Lopes’ soccer team. Run to Fight has raised nearly $600,000 for families battling the disease since its inception in 2011. This year’s race is scheduled for March 16. 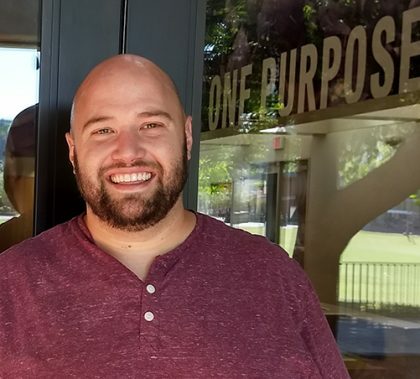 Dr. Randall Downs, the new coordinator of the Center for Worship Arts, had an idea after he heard the Canyon Worship 2018 album: Why not have the student artists perform their songs out in the community? They’ll do exactly that on Tuesday, Oct. 16, at Harvest Bible Chapel West Valley in Peoria. “With all the talent these students have, we love seeing that displayed,” he said.